In any manufacturing environment today, the key emphasis is on how you can safely harness the power and precision of robots along with the problem-solving ability of humans to achieve greater productivity. Designed to work with both humans and machines, the OMRON TM Collaborative Robot lets you attain better efficiency with its wide range of industrial applications while ensuring workplace safety. Maximise your resources and increase productivity by configuring the robot system at will to respond to any production requirement. 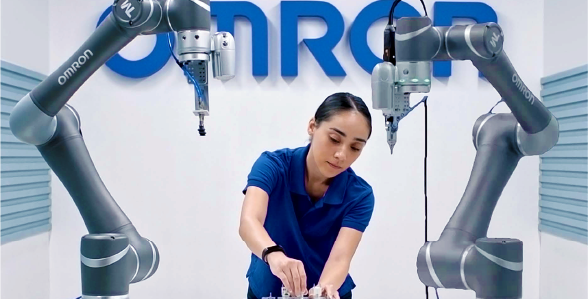 Our Collaborative Robot's versatility allows it to be assigned to almost any task. 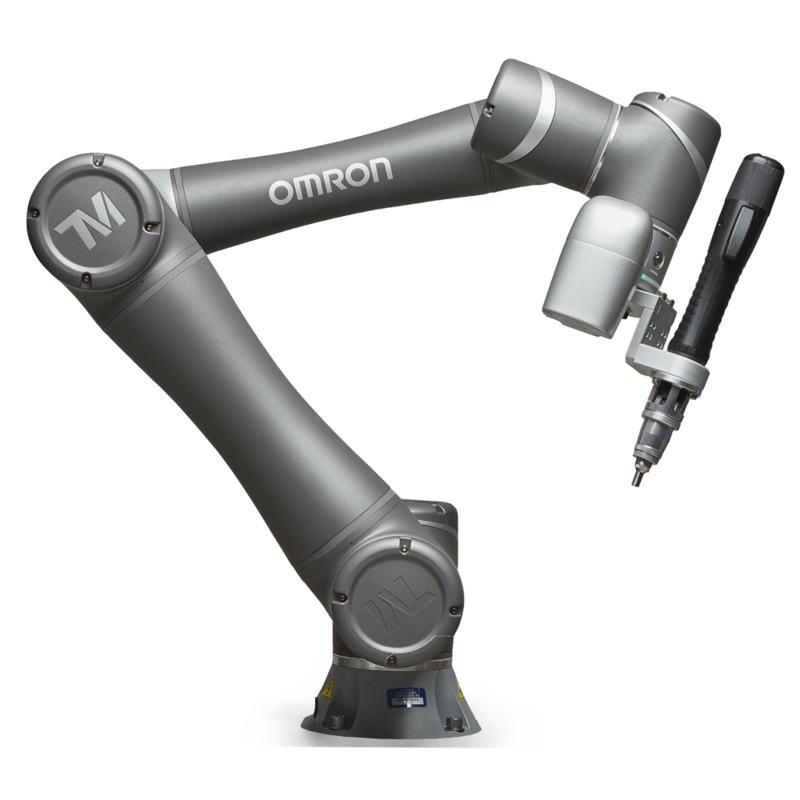 The diverse range of applications served by the robot system includes machine tending, loading and uploading, assembling, screwing, gluing, testing, soldering, and logistics. Downtime incurs costs, which means you require a robot that can start fast and stay running. 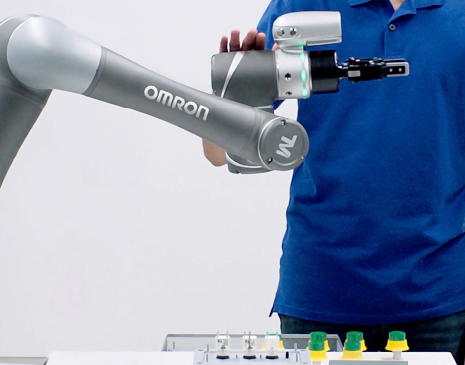 The intuitive software of OMRON TM Collaborative Robot facilitates quick programming during startups and changeovers. The simplified programming for these robots requires no coding or pendant, giving users faster startup time. For example, a complete pick-and-place task with vision inspection can be taught in minutes. 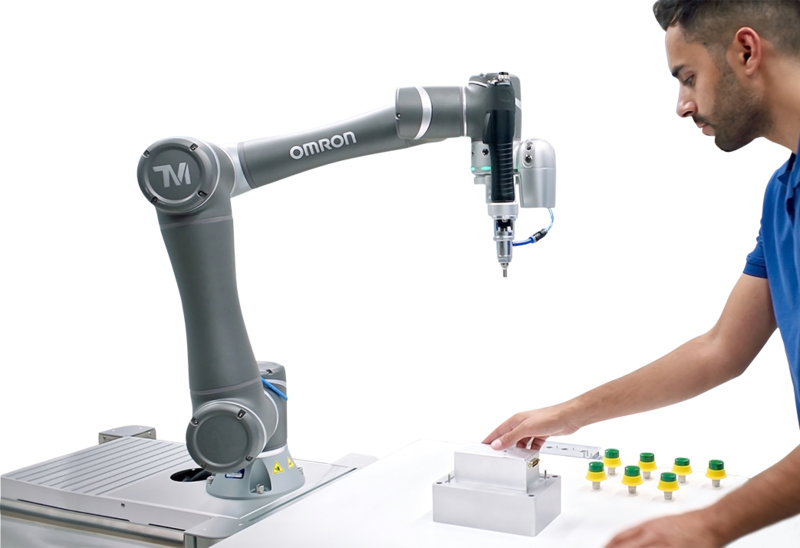 Unlike others, OMRON TM Collaborative Robot has a built-in intelligent vision system that can be used for pattern matching, object positioning and barcode reading. The integrated camera localises objects in a wide field of vision while the image-enhancement light enables object recognition under almost any conditions. 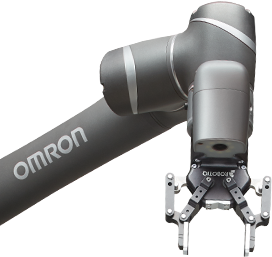 The mobility of the OMRON TM Collaborative Robot allow you to easily relocate and recommission it for any new task. To ensure seamless work between robots and humans, we are dedicated to ensuring the safety of our collaborative robots. 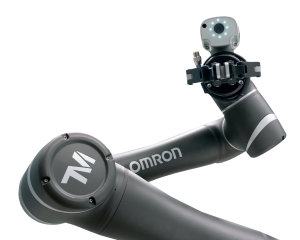 Our robots comply with the strict safety requirements specified in ISO 10218-1 and ISO/TS 15066. In some regions, OMRON offers safety assessment service, conducted by trained safety specialists. Do check with your local OMRON representative to find out more.